FAQs / What ages is ZoomChess appropriate for? ZoomChess was designed for kids, but it’s never too late to learn to play chess. 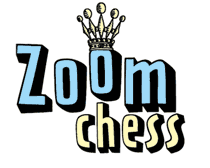 We encourage kids from 3 to 103 to use ZoomChess. It is not a move, even the best move, that you must seek, but a realisable plan.